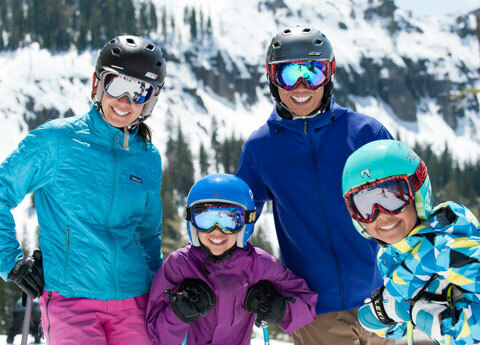 For passionate skiing families and adventure enthusiasts alike, Sugar Bowl offers an incredible high-alpine experience with four great mountains, the most snow in Tahoe, endless XC trails, incredible backcountry and a magical snowbound village. Perched high atop Donner Summit, Sugar Bowl is a prime setting for fresh powder and awe-inspiring views plus Sugar Bowl offers the shortest lift lines and least-crowded slopes in the region. Spanning 1500 acres across four peaks, the area receives 500 inches of annual snowfall, creating ideal conditions for skiing, and snowboarding. One of the few hotels near Sugar Bowl Ski Resort, Donner Lake Village is the ideal place to center your skiing adventure. It also provides a warm, cozy atmosphere to help you relax after a long day on the slopes. Daily passed start at $82 for adults, $70 for juniors and $30 for children under 12. Special group rates and seasonal passes are available. For more information, call 530-426-9000. Sugar Bowl is open for skiing between 9:00 a.m. and 4:00 p.m. daily. What is the annual snowfall for Sugar Bowl? Serviced by 13 lifts, Sugar Bowl Ski Resort gets the normal California sunshine but also receives about 500 inches of snow each year, making it one of the top ten ski resorts in the world, when it comes to annual snowfall. What are some mountain safety tips for the Terrain Park? With banks, hits, ramps, jumps, half pipes, rails and more, the Freestyle Terrain is one of the most popular areas in the resort. To minimize the risk of injury, guests are encouraged to familiarize themselves with the local setting, while keeping a close eye out for signage and warnings. Skiers and snowboarders should also start slow, stay under control at all times and be respectful of other guests.